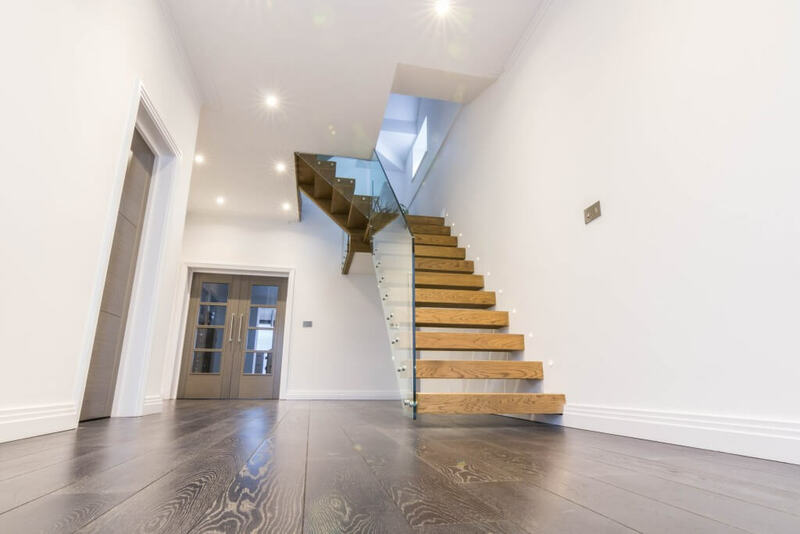 The house has a very impressive, modern style. 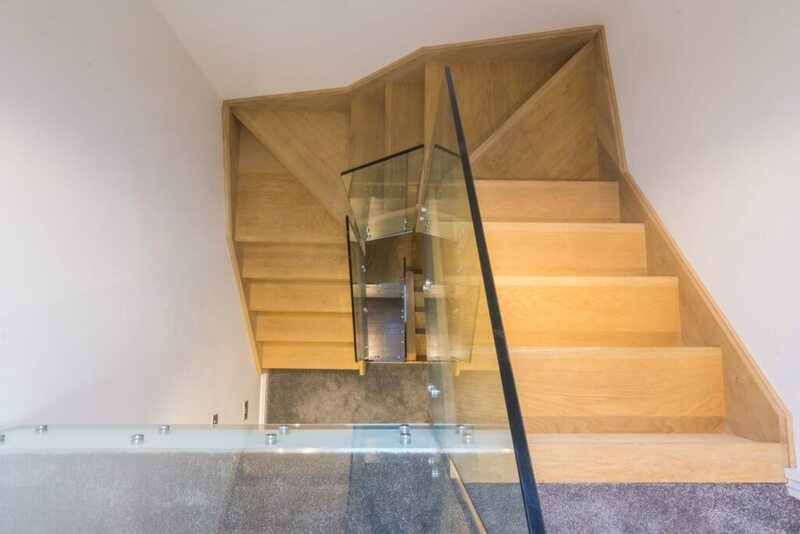 So, in order to do that justice, we decided to implement a cantilevered floating treads staircase with a frameless glass balustrade to connect the ground floor to the first floor. 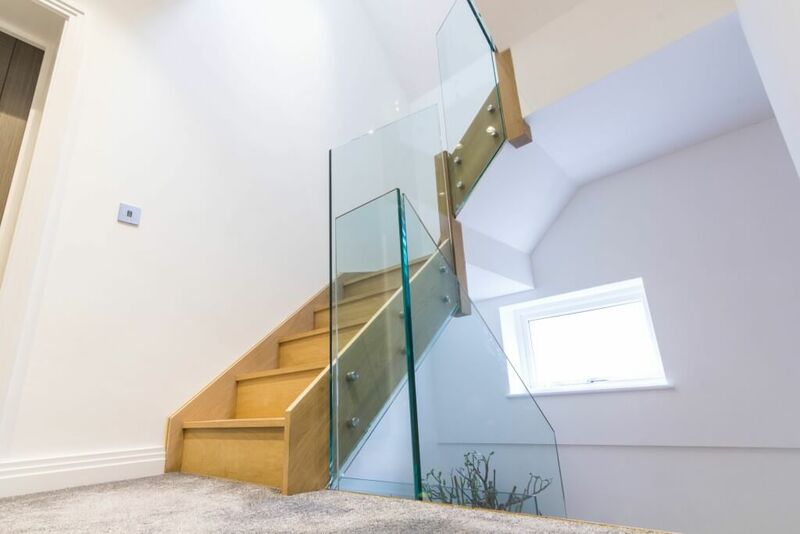 The balustrade utilised custom build glass adapters. 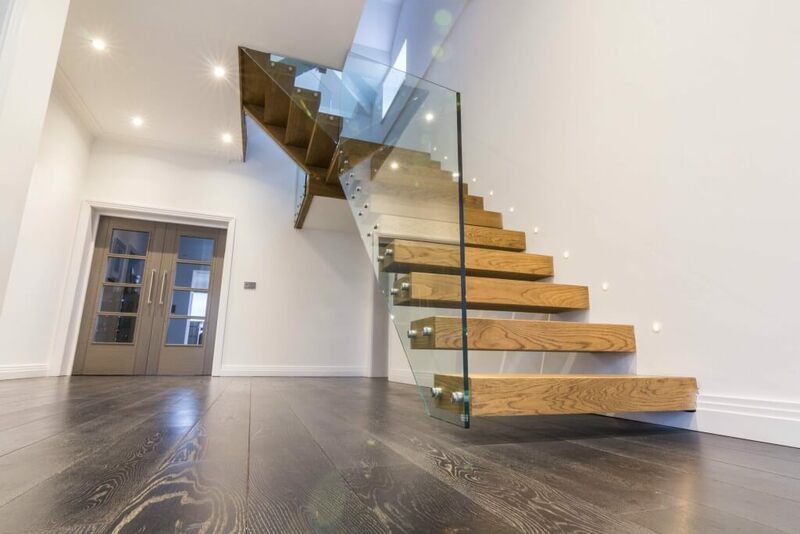 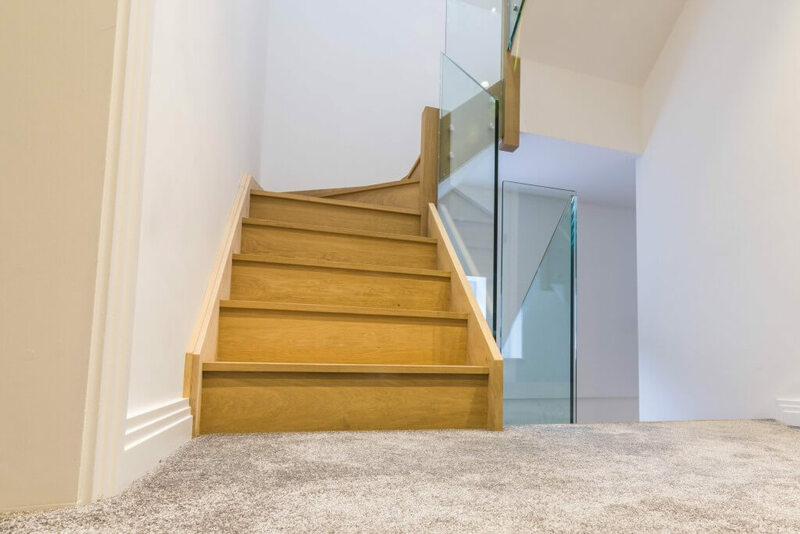 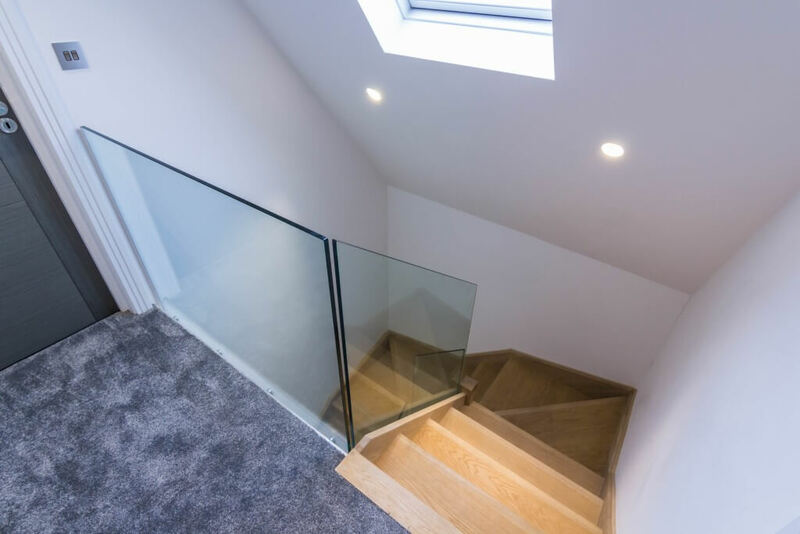 We also implemented a new timber staircase with glass balustrade connecting the first floor to the second, using custom built stainless steel glass adapters for the balustrades, to yet again compliment the modern character of the house, while keeping this staircase different from the last. 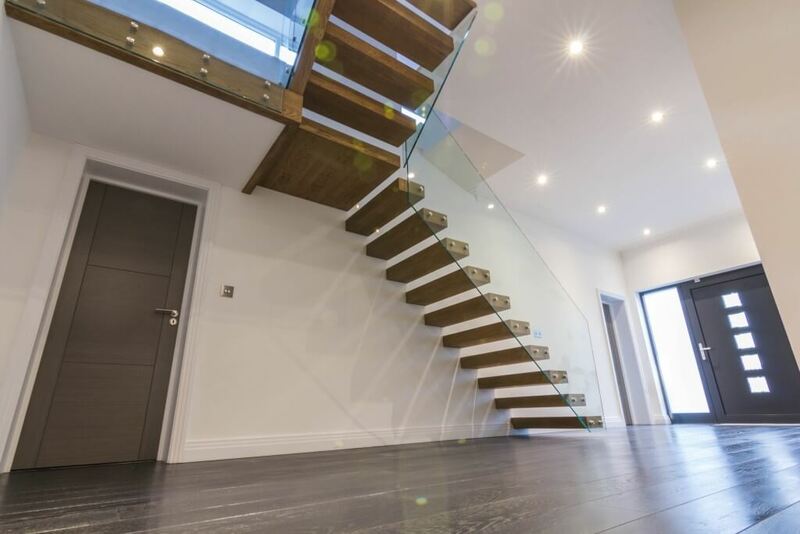 Simplicity was the best approach in this situation and we certainly did the project justice.